Have you always received flak for spending endless hours in front of a gaming console? If your answer is in the affirmative, you’re not alone. Recent market studies reveal there are over 2 billion active gamers in the world and these numbers are steadily on the rise. With that amount of involvement and popularity, it was only a matter of time before the gaming industry gave rise to the phenomena we now know as eSports. The eSports industry is modeled around the conventional sports viewing industry. Much like any other sport that provides viewers an opportunity to get close to the action. Esports give viewers a chance to see top gamers from around the world battle it out for glory on popular gaming genres like First Person Shootouts (FPS), Multiplayer Online Battle Arena (MOBA), Real Time Strategy (RTS) and the like. The growing popularity of eSports has triggered an influx of investment. With revenues crossing the billion dollar mark in 2017, the industry is poised to see an increase of 26% by the year 2020. But what makes eSports so popular amongst the masses? Let’s take a closer look. Unlike traditional sports where athletes require a certain body type and physical attributes, eSports demand no such prerequisites. Possibly anyone with an affinity for gaming can become a pro gamer and earn millions in sponsorship and prize money. However, like conventional sports, it takes years of practice and expertise to become a pro gamer that people would pay to watch. The fact that there is no requirement of specialised equipment, also makes eSports a top choice amongst the millennials. You can be a pro gamer and still be in your pyjamas while you engage in professional gameplay. This gives young adults the freedom to choose a career option with all the flexibility and financial stability that is much sought after. With the popularity of eSports, many big players, with deep pockets have stepped into the scene. This has resulted in massive amounts of money being pumped in. Companies like Intel sponsor some of the biggest esports events in the world and celebrities/businesses houses back teams of pro gamers to compete in various gaming leagues around the world. As a result, broadcasting companies have shown a massive interest in eSports, with players like ESPN deciding to telecast events on their platform. The stakes being so high has brought in a lot of money into eSports and with that, like any other sport has come in additional popularity enhancing factor of esports betting. Now enthusiasts can wager on game outcomes, tournaments, player performance and stand to profit just like regular sports betting. The gaming industry has come a long way from good old Pac Man and Mario Bros. Now the gameplays are getting more complex with game developers focussing on giving users an experience worth remembering. Lifelike scenarios, cutting-edge graphics and increased in-game competition has given rise to games that people are getting hooked onto. eSports tap into this technological advancement and offers players and viewers a modern look at sporting entertainment. With arenas packed full of spectators, watching players compete through popular video games, the sponsors are happy associating with these events, the players get paid handsomely and the viewers get entertainment of the highest quality, everyone’s a winner. eSports as an industry has grown exponentially over the years. 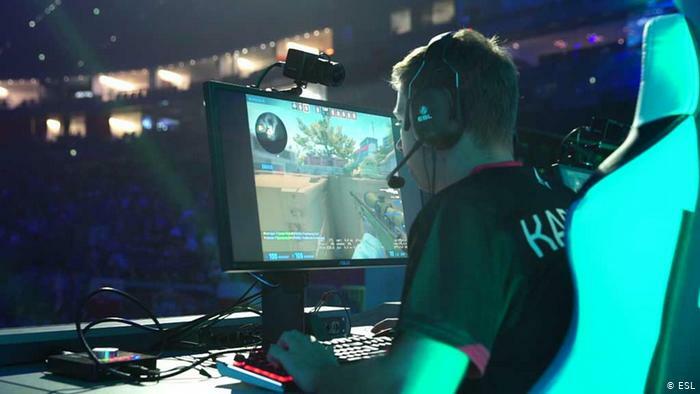 With competitive games being developed, enthusiasts are looking at video games as not only being a form of entertainment while playing but also as a spectator sport. This has helped esports become the money spinner that it is. So now you know all those hours you spent playing video games were not such a waste of time after all. Who knows, maybe you could make a career in the eSports industry and make millions while playing games.